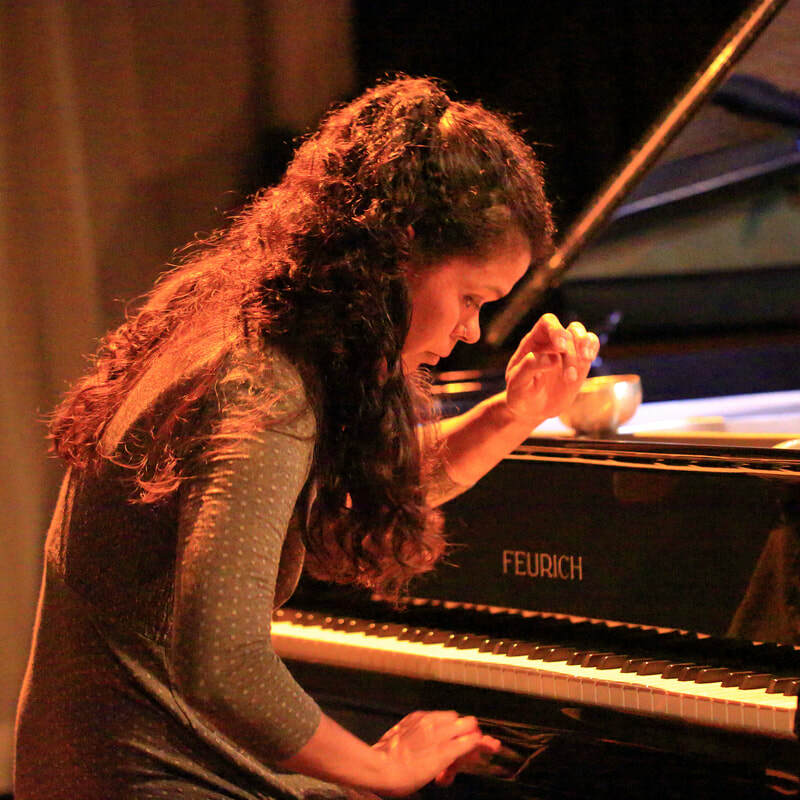 Késia Decoté is a Brazilian pianist who has been developing a rich and diverse career, as piano soloist, chamber music instrumentalist, musician in theatre productions, and as a member of Oxford Improvisers. Késia has performed concerts to great acclaim in cities including Rio de Janeiro, Belo Horizonte, Vitória and São Paulo (Brazil), Aveiro (Portugal), Oxford and London (UK). Késia has a special affinity for contemporary music, she has been dedicated pieces for piano and for toy piano, and has been premiering works in Brazil and in the UK. Késia is also interested in exploring alternative ways to shape her piano recitals, incorporating concepts from theatre and visual arts in her performances. Késia holds a BA and Master’s Degree in Piano Performance from Universidade Federal do Rio de Janeiro, and an MA in Contemporary Arts and Music from Oxford Brookes University. Currently, Késia Decoté is doing a PhD in Contemporary Arts and Music at Oxford Brookes University (sponsored by CNPq - Brazil), researching on interdisciplinary strategies for the piano recital. Cassandra Matthews graduated from the Royal College of Music in 2014 with a 1st Class Honours Bachelor of Music. She studied primarily with Gary Ryan, but also received coaching from Chris Stell and extra lessons with Craig Ogden and Jakob Lindberg on the lute. During her time at the RCM, she took part in masterclasses with John Williams, Stefan Lӧfvenius, Carlos Bonell, Jason Vieaux, and Julian Byzantine as well as performing at Queen Elisabeth Hall and the Purcell Room as part of “The Rest Is Noise” Festival 2013. She premiered new guitar works at the National Portrait Gallery and the Martin Harris Centre. 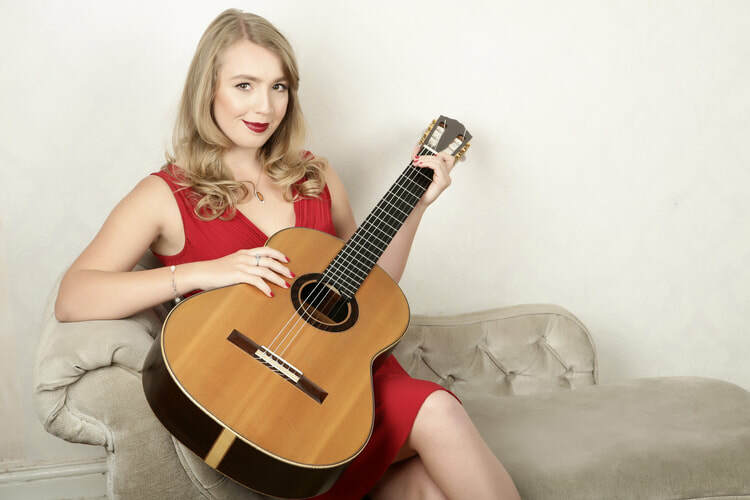 She was the winner of the Lennox Berkeley Guitar Prize 2012 and was the given a Highly Commended Award for the annual Royal College of Music Guitar Competition in both 2014 and 2012. Cassandra performed a selection of works by Joaquin Rodrigo at the Instituto Cervantes at the presentation of 'Voice and Vision' in 2016 to Cecilia Rodrigo and other distinguished guests. Cassandra was also selected to represent the RCM at the Hochschule für Musik und Darstellende Kunst in Stuttgart in an Erasmus exchange programme in 2012. She also reached the final of the Croydon Concerto Competition 2011 with a performance of the Malcolm Arnold Guitar Concerto. ​In 2013 Sabina graduated with Honours from the Royal College of Music in London, where she studied with Yossi Zivoni. 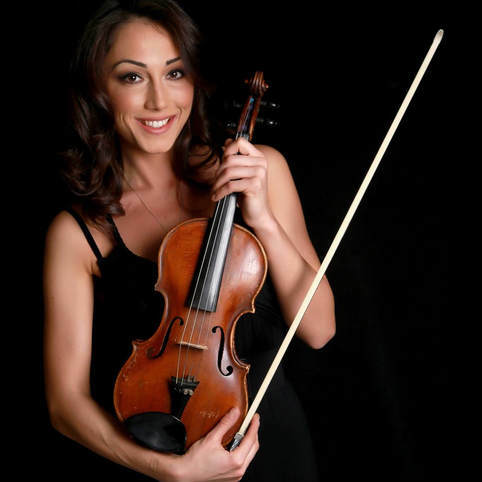 During her time at the College, she has attended Masterclasses with Remus Azoitei, Lewis Kaplan, (Professor at Julliard School) and had chamber music training with the Chilingirian String Quartet as well as working with Carmine Lauri, Co-Leader of the London Symphony Orchestra. She has been heavily actively involved in many orchestral and solo projects as well as guest leading orchestras. In October 2015 Sabina took part in a Masterclass Series organised by Peter Fender in London, where she played the Mozart A Major Violin Concerto with the orchestra. She is a very keen and established chamber musician, having her own String Quartet, String Trio, Violin Guitar Duo and regularly performing with different ensembles and orchestras (Brasov Philharmonic Orchestra, Canterbury Choral Society, English Chamber Orchestra, London Shostakovich Orchestra, RCM Symphony Orchestra, London Euphonia Orchestra, Adoramus Choral Society, Woodhouse Opera, Birmingham City Orchestra, King’s College College Orchestra, Ensemble OrQuesta and many others).